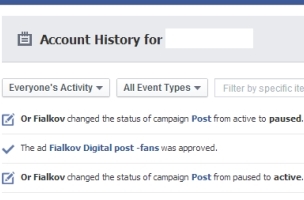 Facebook added an account history feature to its Ads Manager, allowing page administrators to see which users with access to pages were responsible for changes to advertising accounts. This follows the social network’s move last month to display which page admins were responsible for page posts for those with admin roles. Reader Or Fialkov of Fialkov Digital shared the screenshots above and to the right. 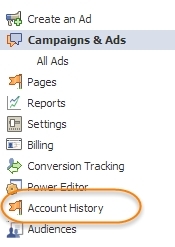 Page admins: Will this feature be a useful addition to Ads Manager?